We started to work on the text support inside libcdr already before the Libre Graphics Meeting in Vienna. We worked hard during the talks and the long evenings after having eaten some portions of Wienerschnitzl. Now we are proud to announce that we managed to release yesterday libcdr-0.0.8 with "basic initial primitive [u]ncomplete" (further BIPU) text support. At the moment, we are supporting only a couple of parameters as a font face and font size and we are able to detect the encoding and produce a corresponding utf-8 string. 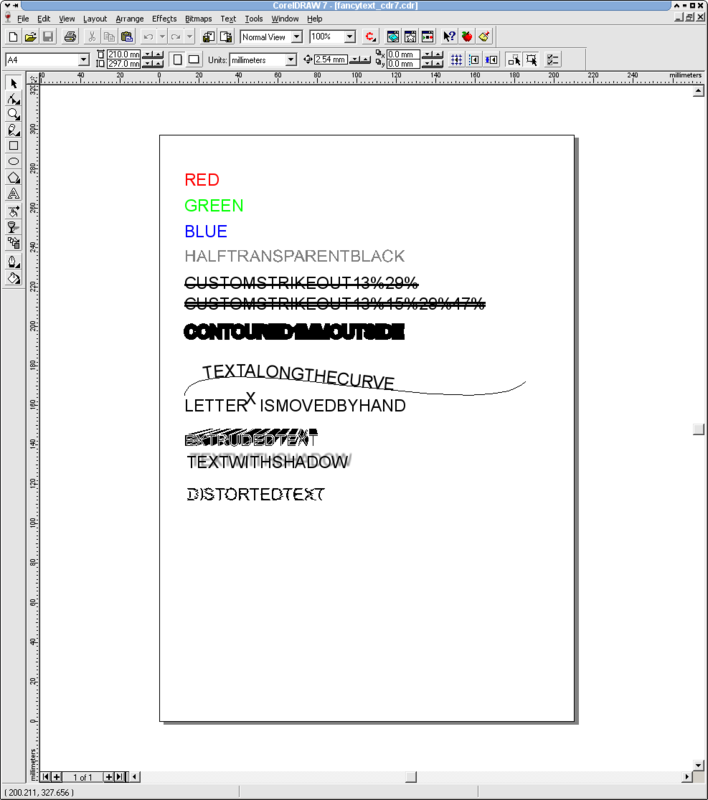 Far from being perfect, it is nonetheless a milestone, because in the FOSS world, there was no support for CorelDraw text before. We know that you prefer to look at nice pictures instead of reading bad text. So, this gives your heart's desires. 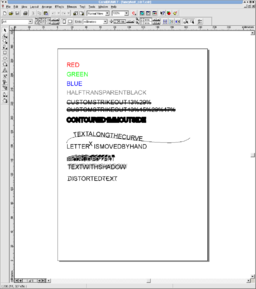 At the moment, libcdr is able to convert text in CorelDraw documents from versions 7 to 16. Nonetheless, we know already roughly how to read it in files of lower versions and we will add the support for next release. 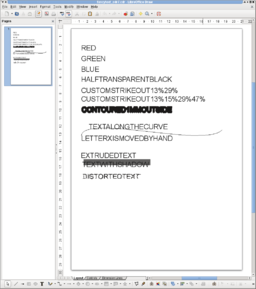 In the same way, we will extend our support of other text properties, like font colour, transparency, effects, paragraph alignments, character positions, etc. How can I test it? 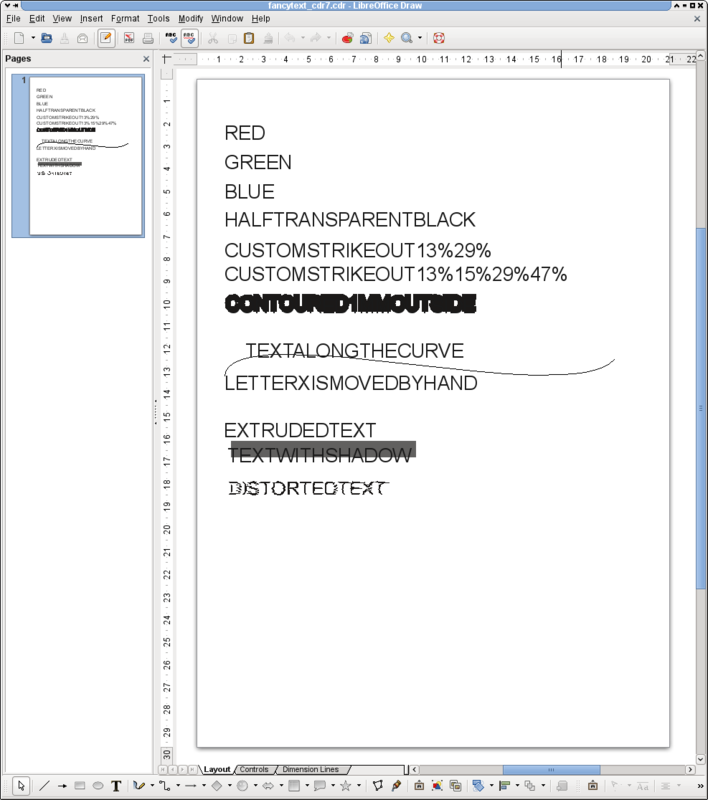 All this goodness will be part of LibreOffice 3.6.0 release. You will be able to test the text support in the 3.6.0 beta2 pre-release. For the brave, any of the daily builds that are built from a code checkout after June 11th also include libcdr-0.0.8 and thus the text support in CorelDraw files. As usual, this is a free and open source software project and, as such, it delights in developers that want to help. So, if you feel the itch, patches can be sent to libreoffice-dev mailing list. And, do not forget to find a way to join the #libreoffice-dev channel at irc.freenode.net in order to meet other developers. We can promis you that you will feel at home in the LibreOffice community.